November 5, 2018 – JustTech, a technology company focusing on managed print solutions, managed IT solutions and custom Xerox app solutions, announced today that CRN®, a brand of The Channel Company, has named JustTech to its 2018 Next-Gen 250 list for the 2nd consecutive year. The annual list identifies IT solution providers who have embraced emerging technologies and are setting the pace for the rest of the channel in their adoption. Those on the list have been able to meet their customers’ ever-changing IT needs in leading-edge technologies such as cloud computing, IoT, virtualization, mobility, business analytics and business intelligence. JustTech is a Xerox Platinum Strategic Partner that provides managed print services and managed IT solutions to clients regionally in 5 states (Maryland, Virginia, West Virginia, Kentucky & Ohio) and also provides custom Xerox app solutions to Xerox partners and clients globally. 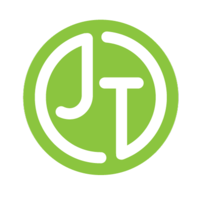 JustTech manages the supplies and service fulfillment for thousands of copiers and printers making millions of print impressions every month with their managed print services solution. With their IT solutions, more than a hundred clients rely on JustTech to manage their internal IT infrastructure and provide help desk and onsite IT support as needed. JustTech builds apps for Xerox multifunction printers which improve workflow, increase productivity, enhance security and increase efficiencies. Clients of JustTech receive these apps as part of JustTech’s managed print service solution and JustTech also licenses these apps for other Xerox partners and clients to use globally. JustTech was the first Certified Personalized Application Builder Authorized Developer of Xerox in the U.S. and there are more than 40,000 apps that JustTech has created and installed on Xerox multifunction printers around the globe. Check out JustTech.com for more information and exciting news!